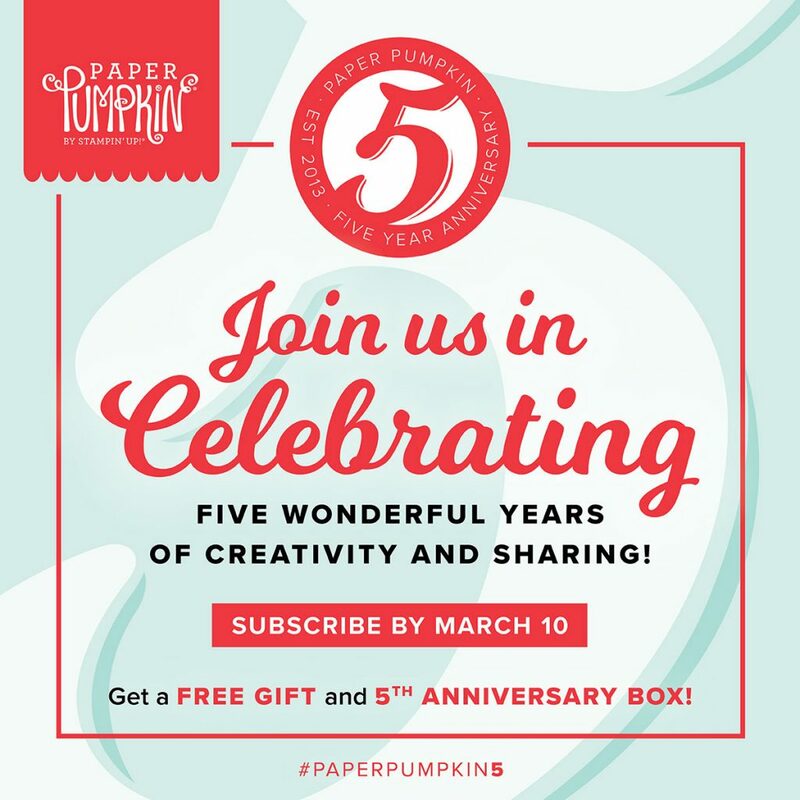 March 2018 is Paper Pumpkin’s 5th anniversary and Stampin’ Up! is kicking it off with a truly exciting offer. 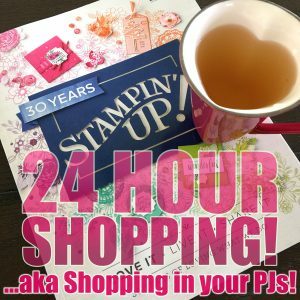 Not only is Stampin’ Up! 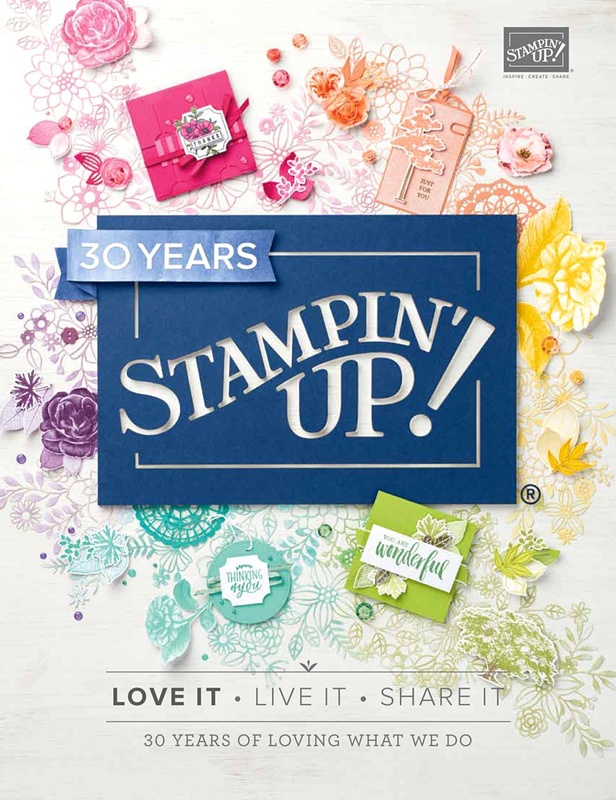 celebrating five years of creating and sharing together, but Stampin’ Up! also want to say thank you to everyone who have helped them reach this great milestone. 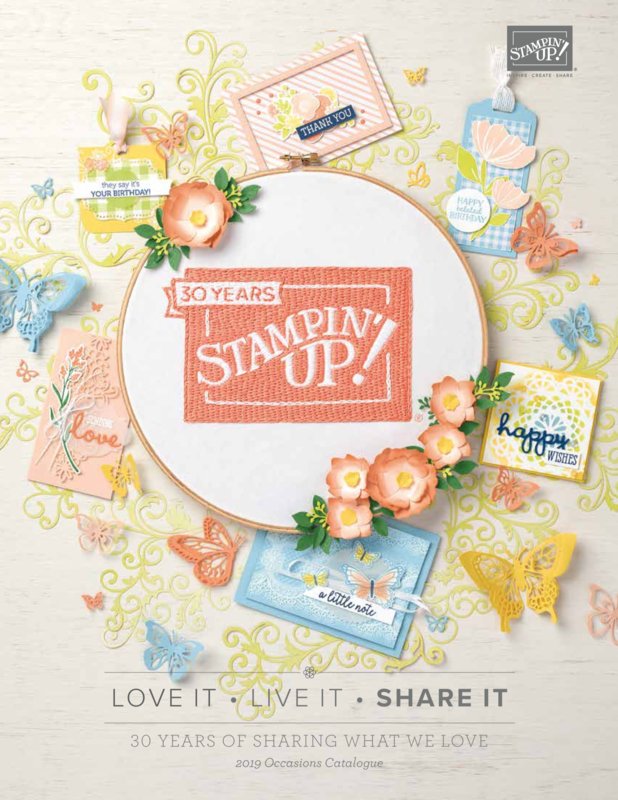 And what better way to do that than with a March kit which includes a fantastic, FREE gift and a specially designed, one-of-a-kind box? 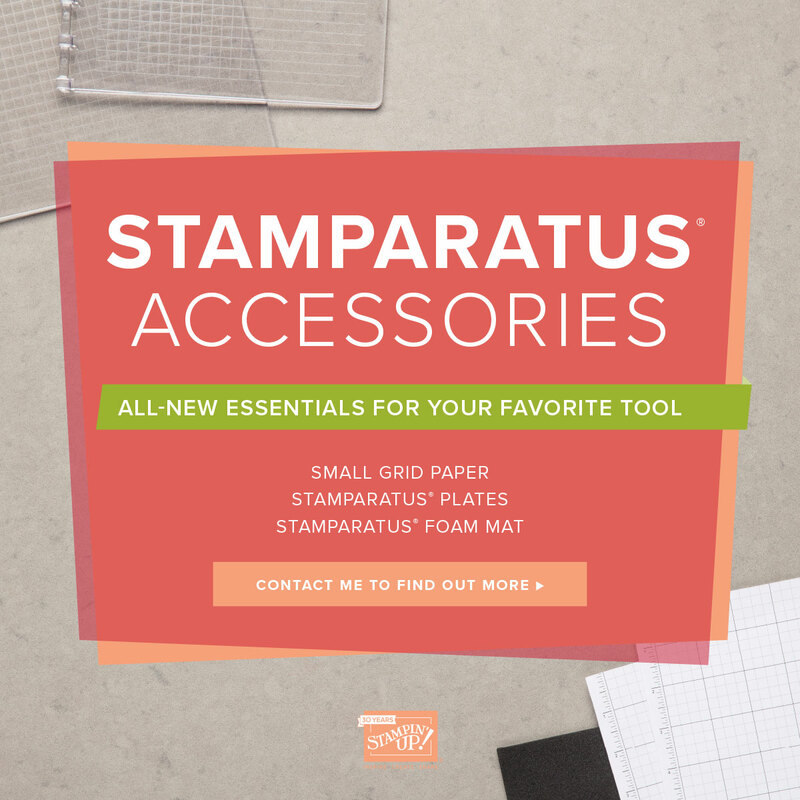 This kit is gorgeous, collectible, and is almost sure to go down in Paper Pumpkin history as an all-time customer favorite! 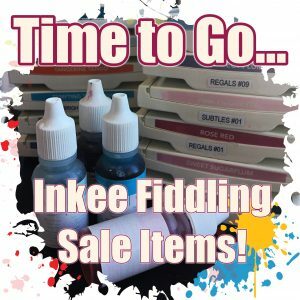 Plus, you have a box of products that are all ready to go to make something fabulous when you feel like your inspiration is lagging. It’s a WIN WIN so be sure to place your subscription by week’s end!